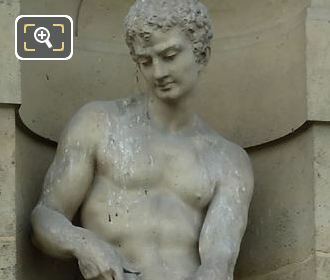 This time while we were within the Cour du Carrousel of the Musee du Louvre in the 1st Arrondissement of Paris, we took these high definition photos showing the statue called Le Lutteur, which was sculpted by Jean Esprit Marcellin. 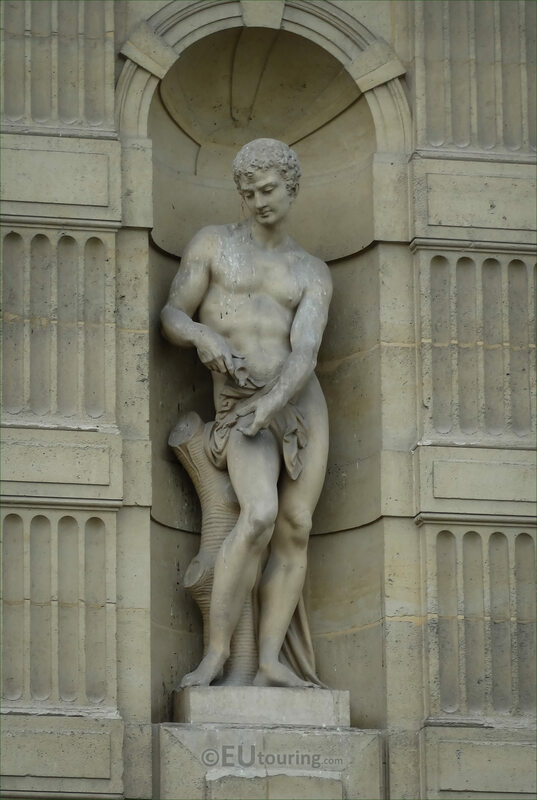 When the Palais du Louvre was having additional embellishment with numerous statues being added back in the mid 1800s for decorative purposes, the Aile de Flore wing had statues put in place in niches on two separate levels. 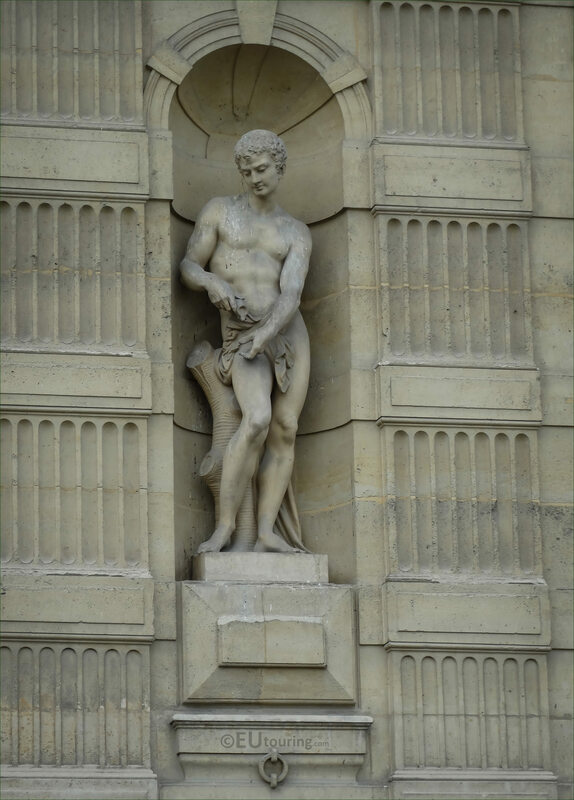 And this HD photo shows the statue called Le Lutteur, which in English translates to The Wrestler, and this is positioned on the first level, and as you are looking at the facade from the courtyard, you will find this sixth from the left hand side. Now this stone statue was produced by Jean Esprit Marcellin, who was born in Gap on 24th May 1821, becoming an apprentice sculptor and painter in his home town before being able to enrol in the Ecole des Beaux Arts in Paris. Even being noticed by artists such as Francois Rude, he started to receive numerous commissions for public works, with no less than seven different statues for the Louvre Museum including this stone statue of The Wrestler, plus he worked on statues for the Hotel de Ville in Paris, numerous compositions and sculptures for the city of Marselle, along with many others, right up until he passed away in 1884 at the age of 63.